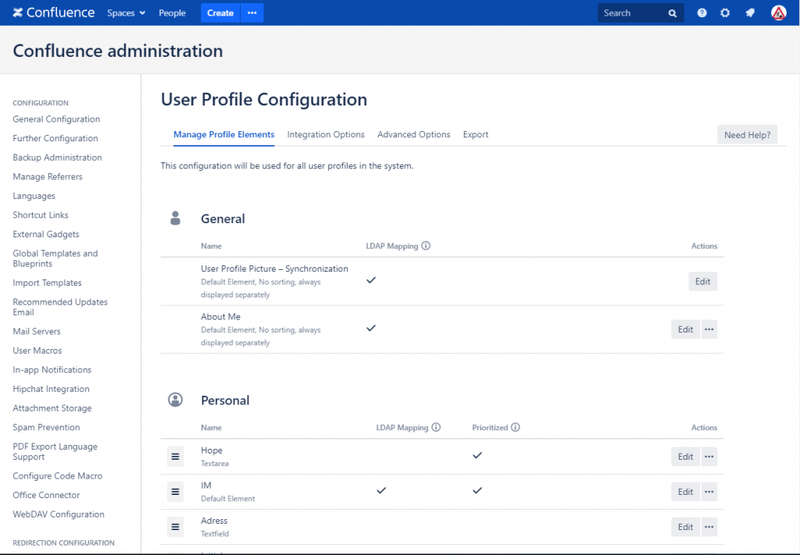 The latest release of the User Profiles app marks the start of a broad range of user interface improvements for both admins and users. Since first releasing User Profiles for Confluence in 2010, we’ve made constant improvements to help you bring colleagues and experts together in your company. Over the years, we’ve expanded LDAP support, added new fields and org charts, enhanced the People Directory, integrated click-to-call functionality, and introduced many other features to give you a powerful solution for increasing Confluence collaboration and personalization. 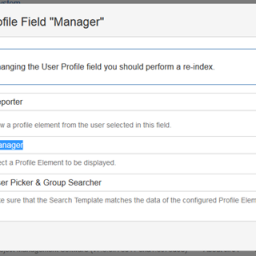 User Profiles is packed with features and customization options. You have complete control over how user data is displayed in the people directory, in profile cards on wiki pages, and within organization charts. 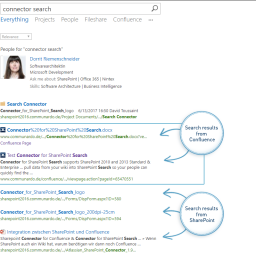 This gives you the power to optimize the user experience for your organization’s needs, so your users can find the experts and information they need faster than ever. This year—to celebrate collaboration at its best—we’re completely redesigning the app’s user interface (UI). First up: the administrator’s interface. With User Profiles for Confluence 3.0, we’ve made it easier than ever to manage and customize user profiles for your organization. Version 3.0 includes an all-new, modern UI with improved usability for administrators. More on that, plus screenshots, below. Next up: a complete overhaul of the UI for end users. We’re currently working on an exciting new redesign for profile cards, organization charts, people directories and more. 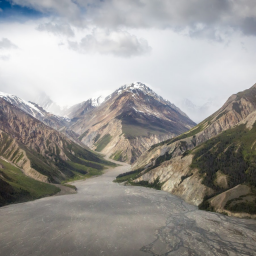 Sign up for our newsletter to get the latest news and updates on User Profiles for Confluence. The updated Admin Panel gives you a clear overview of profile elements, LDAP mapping, and prioritization. You can quickly manage and edit each element with just the click of a button. Now you can easily enable the recently released Skype for Business Integration(v2.1) and configure the Organization Chart macro from one easy-to-use dashboard. 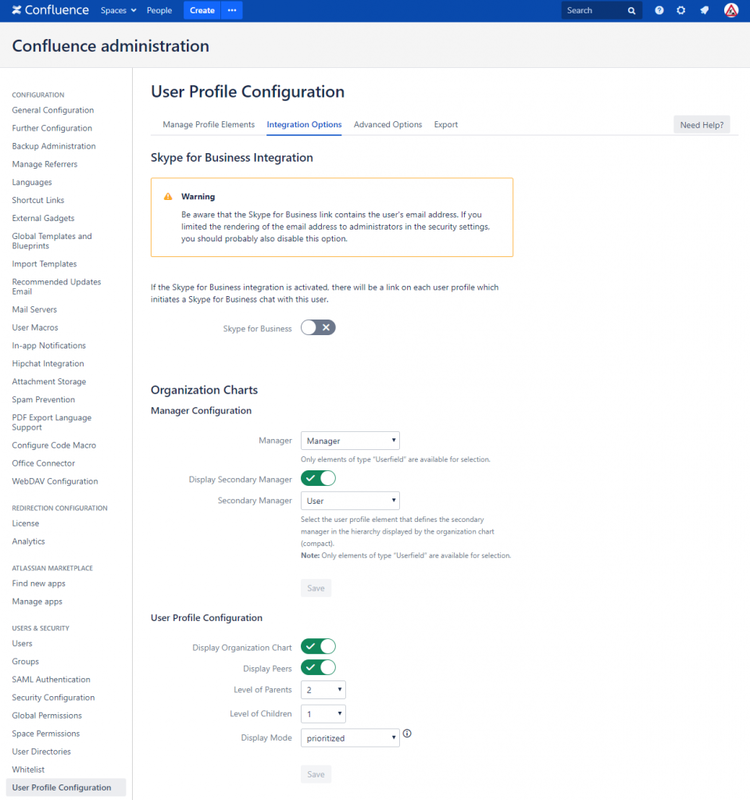 User Profiles for Confluence gives you plenty of options for customizing profiles for your organization. Now you can manage them all in one place. 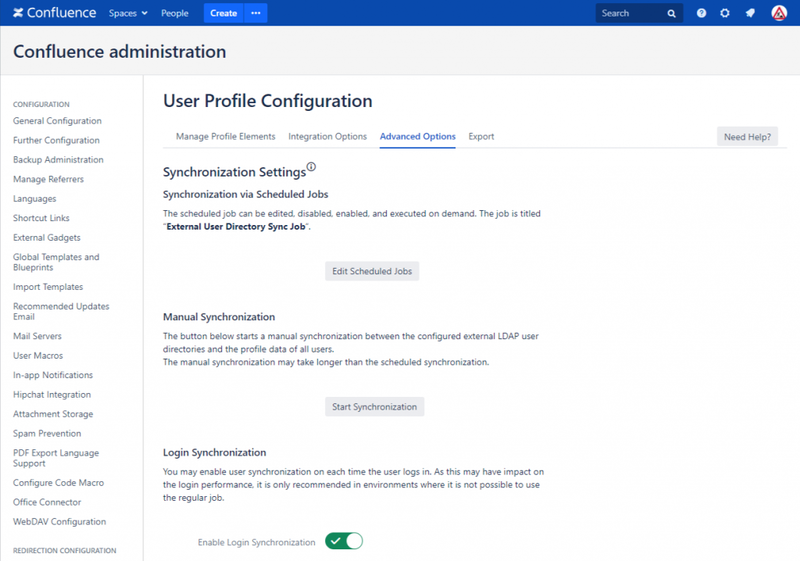 The Advanced Configuration dashboard lets you quickly set user policies, manage synchronization settings, enable macros, and purge user data. 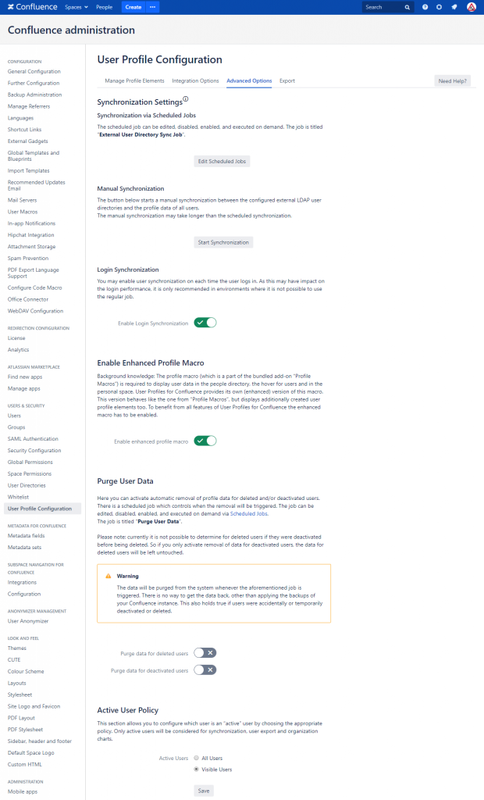 User Profiles for Confluence 3.0 is the first step in a complete visual overhaul. 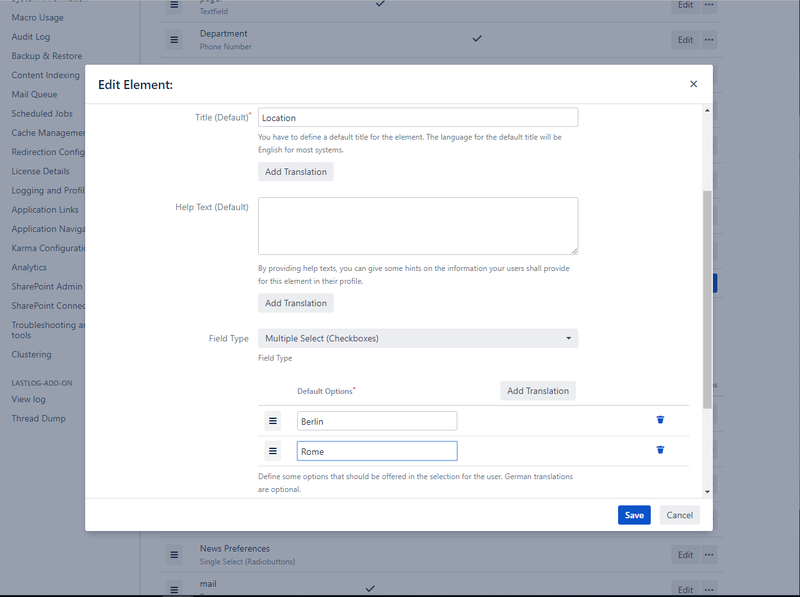 In future updates, we will bring a redesigned UI for end users, as we continue our mission to make Confluence more personal and productive for teams of all shapes and sizes. Stay tuned!